I always enjoy staying at this hotel. I like to use the training room, the food is good for dinner, the breakfast where to choose omelet is also good. Only one thing, the room was very hot and I was not able to turn on the aircondition. It seems as it was not yet setup for cold air only hot air. I am a regular guest at the hotel since it is located close to my working place. Reliable quality. We had a very comfortable and enjoyable stay at Novotel Budapest City, Budapest. Our stay at the hotel was very enjoyable. All staffs are very helpful, cooperative and friendly. They always welcome you with a smile. I really appreciate the late check out flexibility at the hotel and that helped us a lot. We could comfortably checked out before boarding for a very long flight. Overall, everything went quite well. Great hotel with excellent facilities. We had a wonderful stay at Novotel Budapest City hotel. Staffs are very friendly and helpful. I like the flexibility in late checking out! That is wonderful. Since our flight was in the evening, We checked out late and could look around the city and freshen up before leaving for a very long flight to Singapore. We had a very pleasant stay at Novotel, Budapest. The rooms were so clean, the service was perfect, the food was really good, the staff were so polite and helpful. In my future stays at Budapest I will choose this hotel again. Overall experience was average, I have clearly seem better Novotels. Very unleasent was the experience st the bar, unfriendly and greedy - made mistake and then pretended to not understand anything because of lazyness to change...also needed to wait forever for drinks. Some of the other staff was nice, breakfast and cleanliness good for Eastern Europe. Taking a brake on traveling home, from ski week in Tyrol, being guest in Budapest, with full hospitality, from reception to pool and sauna, finishing with breakfast close to the park. Recommendation for all who are passing through, beacuse of having all things covered and tailored well. My favorite Budapest hotel, still remain 1st on the list. Fast and simple check in, also fast room change because of problem with water in sink. Nice white wine in the lobby. No way to watch international football matches. Very friendly waiter, and reception desc people. Pool and sauna experience correct. Breakfast and restaurant staff excellent. Check out and payment fast and efficient. I am very happy with your hotel. From the entrance meeting with employeer was very good. They are very fast and do the check in very fast. Hotel vas good. Room was enaof space. Was clean. 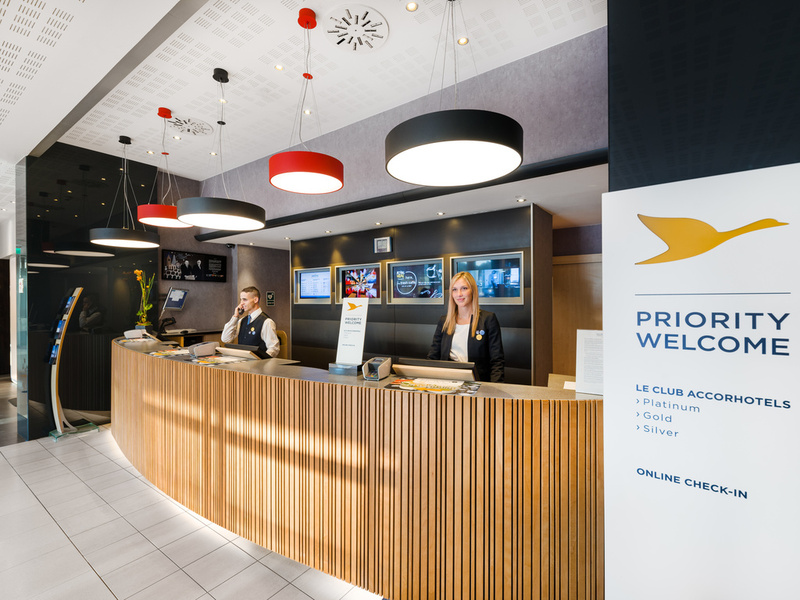 A friendly welcome with competent staff and due to the on-line check-in I was in my room in minutes of arrival .Any advice required was at their fingertips. My room was very comfortable - I wish I could have stayed longer! The breakfast was fabulous! The lounge and reception area are very nice. Rooms are very clean and nice. Bed is comfortable. I only did not like that the toilet and bathroom were separated. We were very impressed about the service received before and during our stay. It was one of the best experiences and we are looking forward to our next stay! Big hotel, focus on big groups of tourist. Less suitable for a business traveler. But ok for one night. the best service orientated Hotel ever I visit!